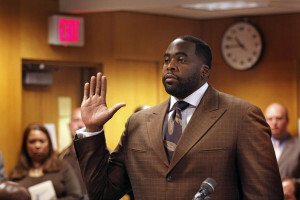 DETROIT (AP) — The amount of money owed by imprisoned ex-Detroit Mayor Kwame Kilpatrick continues to grow. 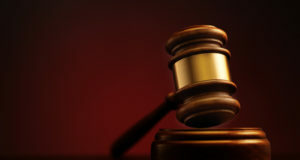 A federal judge has ordered Kilpatrick and friends Derrick Miller and Bobby Ferguson to pay a contractor more than $7.4 million for profits lost to bid-rigging on water department contracts. The contractor, Willie McCormick and Associates, says city contracts were steered toward Ferguson’s companies and that kickbacks were given. 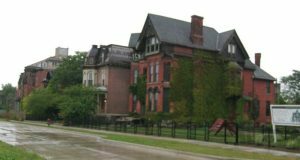 Kilpatrick was ordered in August to pay $1.5 million in restitution to Detroit’s water department related to his 2013 corruption conviction. He was sentenced to 28 years in federal prison. Kilpatrick has said he’s broke. 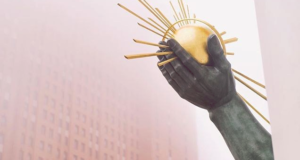 In 2014, he owed $800,000 to Detroit for restitution in another criminal case and $195,000 to the IRS. Ferguson also is in prison. Miller was sentenced to time in a half-way house.